Students can enroll in academic or career technical programs either fulltime or part-time (award is prorated based on number of credits in which they are enrolled) and they can apply up to three weeks prior to the start of the semester. Earlier this month, Lumina Foundation awarded the State Board a $400,000 grant to be used to continue to raise awareness about the Adult Learners scholarship. Idaho will also use Lumina funds to create policies ensuring veterans get college credit for experienced gained while in the military and to work with community libraries in 10 underserved counties to provide higher education resources including student advising. 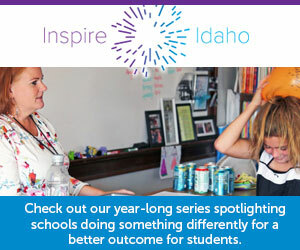 Written by Debbie Critchfield, vice-president, Idaho State Board of Education.